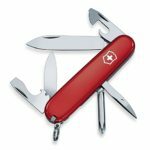 Using Opinel knives while picnicking last summer got me thinking about their differences in design philosophy from Swiss knives, our traditional perception of multifunction tools, and how smart phones and machining centers contradict that perception. Mostly known for snow-capped mountains, the Savoie region of France is also the birthplace of the Opinel, a pocket knife designed 120 years ago, and very popular there with anybody who hikes or just goes on a picnic. As you can see below, it is a simple knife with a sharp, pointed blade, and a ring to lock it closed or open. The Opinel only has one function, but performs it well; the swiss knife has many but does not excel at any. It will cut, but not as well as the Opinel; it serves as a corkscrew, but provides no leverage to pull out the cork; it will open cans, but slowly and by pulling the sharp edge of the lid outwards towards your hand rather than into the can, etc. It is convenient because you only have to carry one tool around, but, for everything it does, there is a dedicated tool that does it better. When we think of dedicated versus multifunction tools, we usually think that they are like Opinels and swiss knives and that, when we add more functions to a tool, we necessarily compromise on performance or quality for each function. But is that necessarily true? Our smartphones let us talk to each other but also contain the contact data of everyone we have met since elementary school. They tell you where we are on precise maps, wake us up in the morning, work as stopwatches and egg timers, play our music, receive our favorite radio station, identify a song from a snippet of a recording, etc. Dedicated tools do not exist for everything a smartphone does and, when they do, rarely outperform the smartphone apps. For example, I have not seen an alarm clock do more than the clock app on my phone in terms of selecting whether it rings just once or every weekday at the same time, how loud, with what sound, etc. What is it that makes a smartphone different from other multifunction devices? In what way is it not like a swiss knife? The short answer is that a smartphone is a computer. We often think of computers as machines like any other, or worse when we are frustrated with confusing interfaces or system crashes, but the reality is that they are qualitatively different, and that programmability allows them to outperform dedicated tools. Their hardware configurations make them smartphones, game systems, laptops, or industrial controllers but, within this context, the range of services they can render well is limited only by the imagination and talent of programmers. In production, machining centers or computer-controlled fabrication facilities are not swiss knives, in that their flexibility is not bought by a compromise in performance, and this has far-reaching consequences on production engineering and operations. Michel, excellent comparisons. It is true that numerical control machining centers achieve the same (or better) quality than a press that shapes and cuts a part to size in one single stroke but the machine time is much longer. So for high volumes the “Opinel knife” solution is better. When you use your smart phone as an alarm clock (as opposed to a standard one) the functionality is better but not the ease of use: imagine trying to setup the wake up time in the middle of the night if you have never done it before. I don’t know about all smart phones. It all depends on how well the software is engineered. The alarm clock function of my iPhone is easier to use than, say, the radio alarm clocks in hotel rooms. 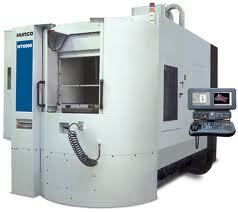 In production, I would only compare machines able to hold the same tolerances, and I have not heard of machining centers as being slower than conventional milling machines. This being said, there are tasks for which older, slower and less flexible machines should be preferred, (see http://bit.ly/sVZ7Pi).